SpongeBob Marbles and Slides is a drawing-meets-physics puzzle game. 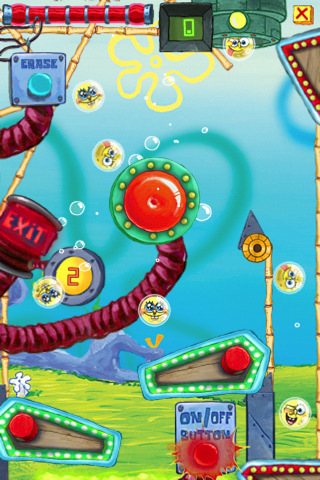 Navigate through crazy obstacles and traps through various Bikini Bottom locations. This puzzle game uses many switches and buttons to activate different portions of the levels using the accelerometer to reach the exit. Click here to download the SpongeBob Marbles and Slides.